Surrey Heights Dementia Care Home is located in the picturesque village of Witley in Godalming. The popular Secretts Garden centre is only a short drive away and Godalming town centre can be reached within ten minutes. Witley train station is less than a five minute walk from our home and the lovely students at King Edward’s School are our neighbours. Our closest hospitals are Farnham Road and The Royal Surrey. We are registered with the Care Quality Commission to provide specialist, residential care for seniors in early stages of Dementia, Alzheimer’s and related illnesses; offering residential care for those who need 24-hour personal and practical support, as well as respite and day-care to support families and carers. Offering an exclusive, individual lifestyle, Surrey Heights is a beautiful Victorian Mansion and the former home of George Eliott. Set in beautiful, south facing, grounds on the crest of the Surrey Hills, our home is conveniently located a short distance from the A3 and within walking distance of Witley station. Once the country House of George Eliott, this exquisite care centre aims to transform people’s lives through the delivery of high quality services in a friendly, home-like environment. 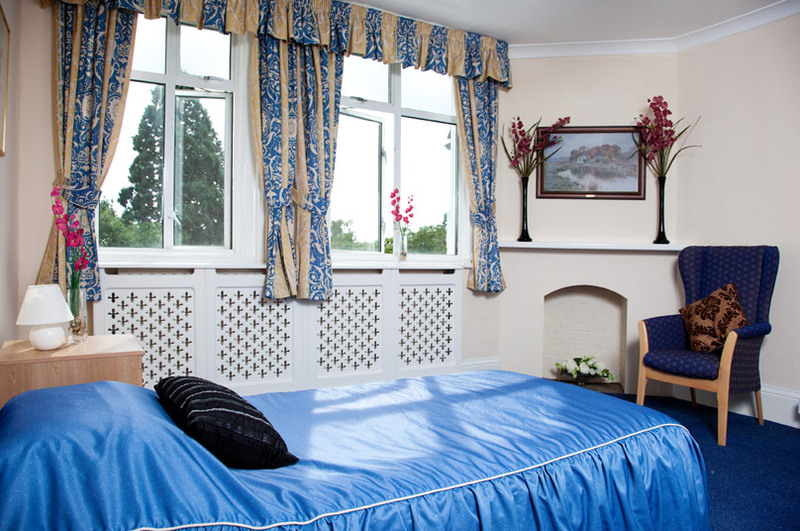 Set in a quiet location, in its own beautifully landscaped gardens, Surrey Heights Dementia Care Home has a combination of luxurious, single en-suite rooms, and larger, companion rooms for those wishing for company. Many of our well-appointed bedrooms enjoy glorious views of the gardens below and surrounding Surrey countryside. Our residents can choose to have personal, flat-screen TVs with Freeview and direct dial telephones in the comfort of their bedroom. Using a “person-centred” approach based on leading theory in current Dementia practice, we work with families, to create a Life Story for each resident. This allows us to get to know each individual’s personal history whilst helping to revisit memories and experiences of by-gone eras. This, coupled with the superior care delivered by our registered manager and dedicated team of nurses and health care staff, ensures that all residents receive 24-hour care and support whilst maintaining privacy, choice, dignity and independence. At Surrey Heights we have a selection of comfortable relaxation areas for our residents to use. 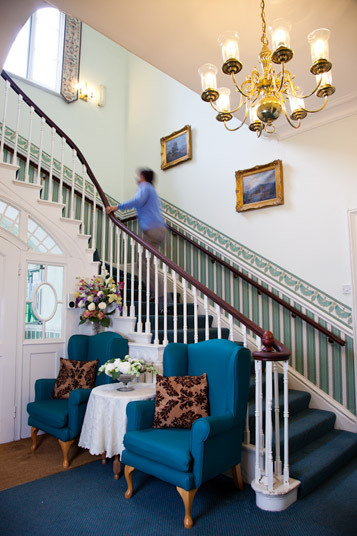 This includes a choice of two attractive lounges which have retained many of their original features. Here, residents can part-take in activities, watch television and entertain guests. 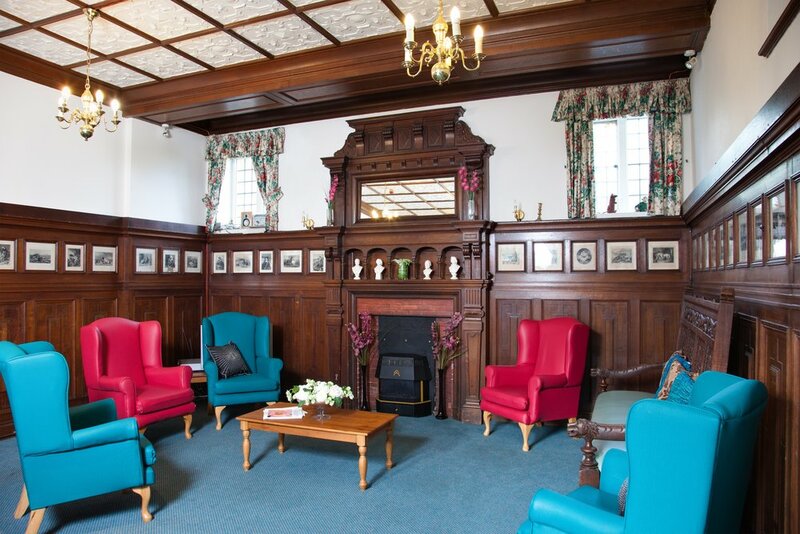 Our dedicated TV room, with cinema TV offers multi-function area for film, music and reminiscence therapy, along with other organised activities. Our beautiful, well maintained, landscaped garden provides the perfect retreat during the summer months, allowing our residents to pursue gardening and outdoor activities to fulfil a socially active, independent lifestyle. We are committed to meeting your personal preferences, choices and needs in the comfort of a fully furnished, private room, some with en-suite facilities. We have a choice of single bedrooms comfortably furnished, many with complete en-suite shower and toilet. All rooms have been elegantly decorated with co-ordinating soft furnishings and our residents can choose to have flat screen televisions with Freeview and direct dial telephones. Each room comes with a multi-position, electric profiling bed to aid mobility and enable residents to sit up independently. To make rooms feel as homely as possible, we encourage residents to personalise their rooms with ornaments and pictures. Our residents are also welcome to bring loving pets to stay, by prior arrangement. Surrey Heights has a dedicated activity room where residents can continue with existing interests and hobbies as well as discover new ones. Our full-time activity co-ordinator schedules a weekly calendar to care for individual preferences as well as a variety of group outings, and entertainment to suit all interests, helping to provide structure to our residents’ day as well as offering mental and physical stimulation. We also provide medical, dental, optical, physiotherapy and occupational therapy services which are arranged by referral. At Surrey Heights Dementia Care Home you can be pampered in our on-site hair-dressing salon and nail bar, or relax in the air-spa baths. Don’t worry if you’re missing your loved ones, just pop into the Internet Corner and have a chat over the webcam. If you’re searching for long-lost friends, why not surf the world-wide-web, or, relax with a book from our library. You can also choose to indulge in our lively and sociable events; wine and cheese evenings or cookery classes are always a popular choice for our residents, friends and families! We also make the most of our local amenities by arranging regular outings to local attractions. He enjoyed being with you.